HOW DO YOU KNOW WHETHER YOUR FORECLOSURE IS FRADULENT OR NOT? October 8, 2010: Now that there is a voluntary halting of foreclosures by some banks, short sales will suddenly become easier, but only for a while. A short sale is the closest substitute for a foreclosure. A foreclosure trustee sale, once scheduled however, is always hard to stop. Calling the bank and asking them to postpone the sale is usually the best method. Filing a lawsuit and requesting an injunction from the court, worked for a while last year, but made the judges mad. For now, in some circumstances, the bank will stop the trustee sale without you having do to anything. Bank of America is staying foreclosures. “Bank of America has extended our review of foreclosure documents to all fifty states. We will stop foreclosure sales until our assessment has been satisfactorily completed. Our ongoing assessment shows the basis for our past foreclosure decisions is accurate. We continue to serve the interests of our customers, investors and communities. 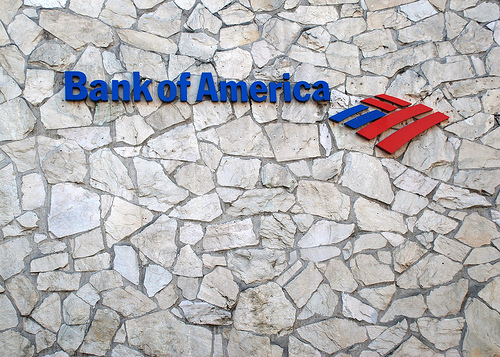 Providing solutions for distressed homeowners remains our primary focus,” said Bank of America spokesman Dan Frahm. But not all banks are joining the stay. The moratorium will have unintended consequences. If there’s this perceived, rather real or not, notion that all these REOs are going to dry up soon, that could push competition. The investors would then increase their bids. But if any more lenders or regulators announce a suspension, the already fragile housing market may begin to buckle. REO sales account for 30% of the market, and taking almost a third of all sales away could have “serious consequences” for an unstable market. It all depends on how many more banks suspend these sales. An overall moratorium would also delay foreclosure processing on thousands of homes, delaying their entry onto the market beyond the critical spring selling season, adding to the glut of distressed inventory, probably causing further deterioration in home prices, and perhaps triggering yet more foreclosures. Foreclosure lawsuits will spike, for a while. Northwestern Ohio, Key Realty Toledo is undoubtedly one of the hardest hit areas in regard to the recession of the past few years. instituted to educate homeowners in ways to keep their home, more and more for sale signs are being seen every day. So taking advantage Of Toledo Foreclosures and learn how To Sell Toledo Homes In A Down Market and to Invest In Toledo Real Estate.